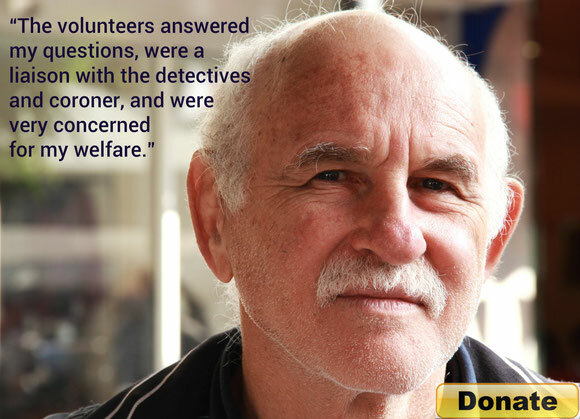 Learn why so many cities and counties rely on crisis volunteers to be there every day. "These volunteers provide on-scene emotional support and resources to families and witnesses, freeing the LAPD or LAFD to do their work at the incident and saving the city money." "Having the community chaplains available to make death notifications in person really leverages our time and gives us much more flexibility." "I can tell you how valuable it's been in my own experience to be on a scene with a very emotionally needy survivor and be able to make that phone call . . ."
Public safety agencies face perpetual demands to address complex social problems with chronically inadequate resources. Since the 1980s, a growing number of departments have partnered with the community to provide on-scene practical and emotional support to bereaved survivors after heart attacks, suicides, homicides, fatal accidents and other tragedies. For Frequently Asked Questions about how crisis care programs work, click here. To read a one-page summary of risk management issues related to offering crisis care services (either through a municipal agency or through contract with a private agency), download the pdf file below.